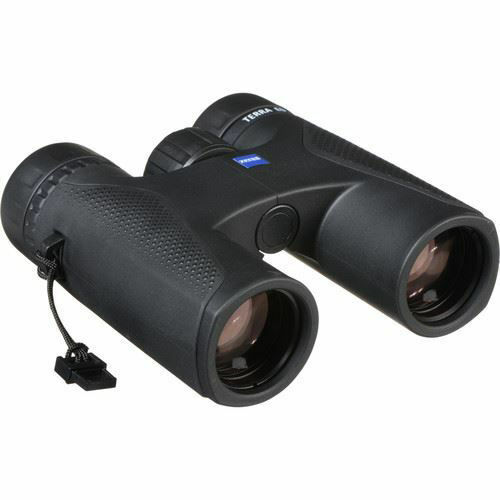 The black 2017 edition of ZEISS Optics' 10x32 Terra ED Binocular features a redesigned ergonomic chassis that makes holding it more comfortable, especially during long glassing sessions. Optically, it retains the exceptional elements that are the hallmarks of the Terra ED, including compact Schmidt-Pechan roof prisms, SCHOTT extra-low dispersion (ED) glass, and proprietary multi-coatings. These complementary technologies and elements work together to produce an immersive observational experience that presents clear and bright views, despite the relatively small objectives, with accurate color representation and virtually zero distortion across the entire wide field of view. The 61° apparent angle of view also helps to minimize the visible hand shake common in smaller and lighter high-power binoculars. The comfortable ergonomic chassis is made of a fiberglass-reinforced polycarbonate to help reduce weight, without sacrificing strength while adding impact and temperature resistance. 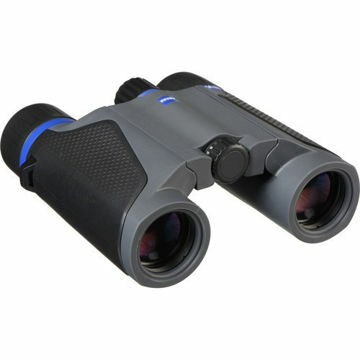 Being resistant to temperature changes not only ensures that the housing will remain a constant temperature, even in cold and wet conditions, but will not experience the expansion and contraction common in metal chassis that can cause the optical elements to move out of alignment over time and hinder the binocular's ability to achieve sharp focus. The chassis is covered in a black rubber armoring that helps to protect it from drops and impacts and provides a slip-resistant grip. Box Dimensions (LxWxH) 9.0 x 8.1 x 3.5"